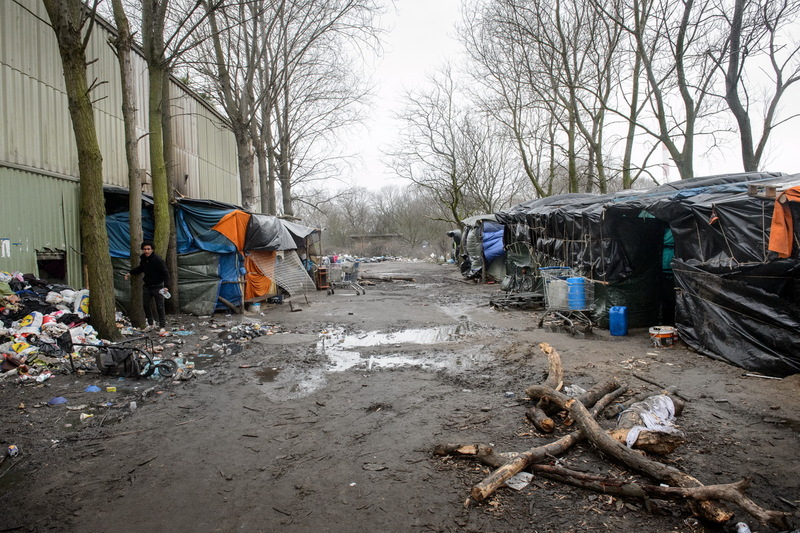 Calais, December 2014 View on part of the Tioxide jungle, a camp situated next to a chemical plant. The camp, initially not more than a small collection of shelters, has grown into the largest camp in Calais, housing more than 800 persons. With the construction of a makeshift church, mosque, barbershop and shop, life has gotten increasingly organized over the last months. But without any electricity or running water, living conditions are squalid.